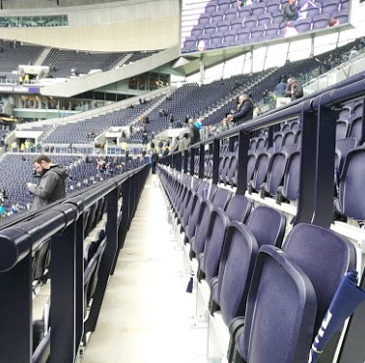 When Tottenham Hotspur Football Club celebrated the opening of their New Spurs Stadium last week, they not only set the benchmark in terms of stadia design but also became the first Premier League club to operate areas of rail seating in their stadium. Following two successful test events, Spurs home match against Crystal Palace on 3 April 2019 marked the official opening of the new stadium and with it the first use of seats incorporating barriers in an English top-flight ground. The club has been able to do this, as the official safety authority view on such seating has changed. Since the launch in November of the new Green Guide, the safe stadia ‘bible’, the use of seats incorporating barriers has been permitted in all-seater stadia. Our focus is on the safety and enjoyment of fans. 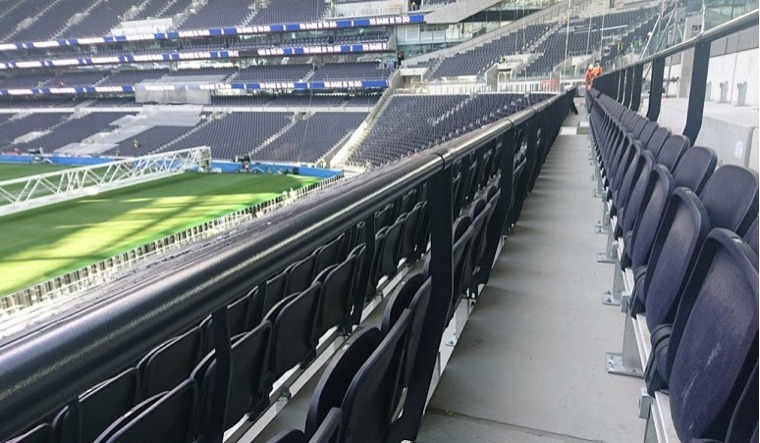 Spurs have recognised the risk of persistent standing in seated areas and taken pre-emptive steps to address this with the introduction of seats incorporating safety bars in some areas of the ground. The seating and safety bar at the ground meet the requirements of the Guide to Safety at Sports Grounds (Green Guide). Indeed, where such grounds have areas in which fans stand persistently, the recommendation is now that clubs consider installing such seats in order to mitigate the safety risk seen as being inherent in spectators standing at conventional seats. The New Spurs Stadium has two areas of seating with barriers: around 6,000 such seats at the foot of the imposing 17,000-capacity South Stand and a further 1,500 or so for visiting fans in the away section. Pending any change in all-seater policy and/or ground regulations both areas will be operated as seated accommodation and the approach to the management of standing in the two areas can be expected to be in line with existing practice in other all-seater grounds. Important, of course, to stress that while this form of seating with barriers works well at providing added spectator safety on spacious seating rows, on narrower rows it could lead to a capacity reduction. On such rows seats with a much smaller closed depth are required.